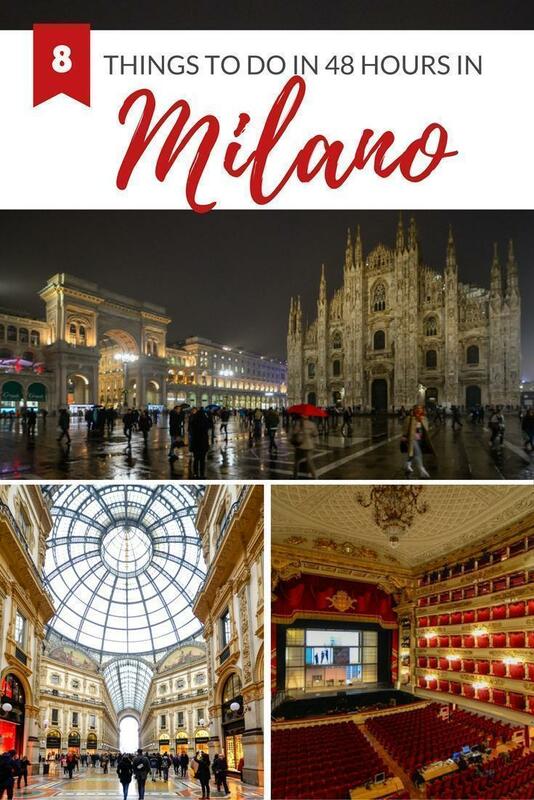 Adi takes us on a whirlwind two-day trip to Milan, Italy to explore art, architecture, and culture sharing all the best things to do in Milan on a budget. To me, Italy is the gift that keeps on giving. No matter where in Italy you travel, you’ll always be surprised by something amazing. That is how I felt about a short weekend trip I took to Milan with my friend in mid-November. It was our weekend mommy getaway, booked on the spur of the moment. EasyJet has good deals to Milan and flies frequently from Stuttgart, Germany. We managed to fly for 45€ each, round-trip. If you go to the website now, you can book a deal to fly in December, for as little as 16€, round-trip. Because it was a weekend getaway, we only packed a backpack so had no extra baggage fees, making it a bargain deal. 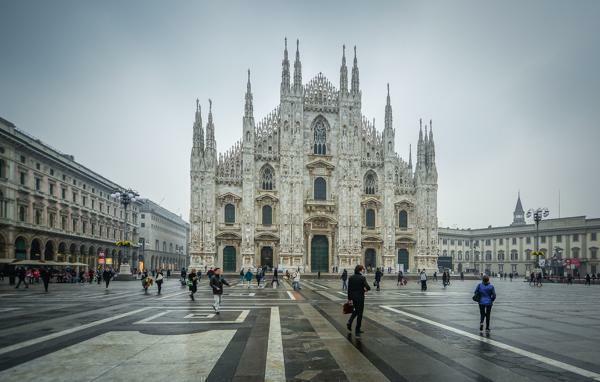 Milan is a must visit European destination for anybody interested in art, architecture, and fashion. There is something to do and see year-round, and although it’s an expensive destination, if you travel off-season it’s a bit more affordable. If you plan to visit several of the top attractions in Milan, be sure to buy your MilanoCard in advance to save on admission costs. 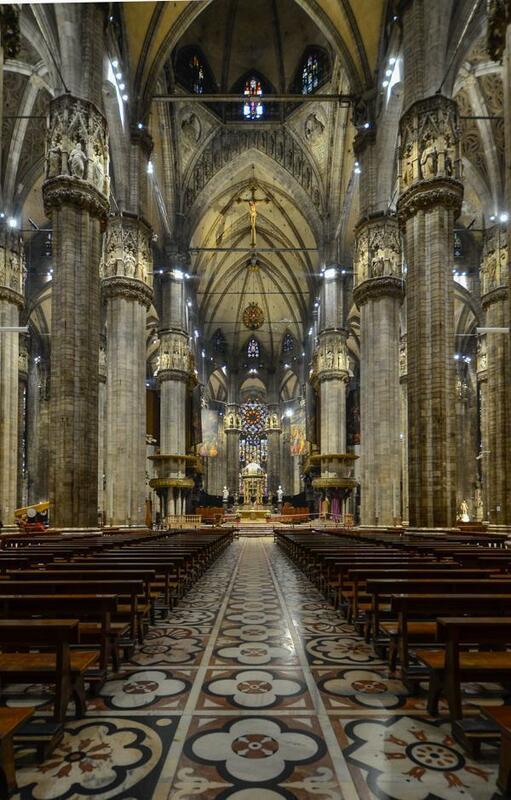 Of course, the most imposing structure in Milan is the Duomo, the Cathedral Church of Milan dedicated to St. Mary of the Nativity. The Duomo has been on my wishlist for years, and I expected to be amazed, but nothing can prepare you for how you will feel once you’re next to it. 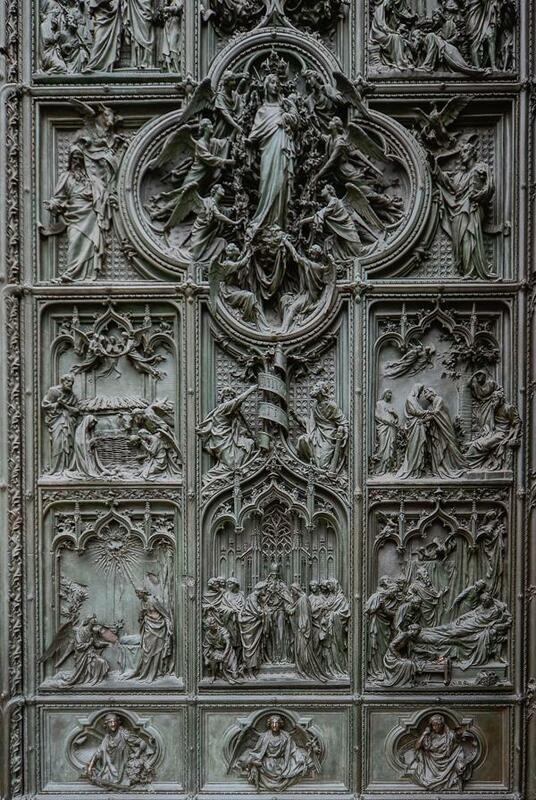 The Duomo’s exterior details, like this door, are striking. This Gothic cathedral took an impressive six centuries to complete. It is the largest church in Italy and the 5th largest in the world. Although the cathedral is built from bricks, it is panelled with massive slabs of sculptured marble. The details are so intricate and so perfectly executed you will need some time to observe them all. It is simply one of the most amazing buildings I’ve ever seen. Only in the Vatican, was I similarly impressed. If you think the outside of the Duomo is impressive, and it is, step inside and be even more amazed at the immensity of your surroundings. I admit I was oohing and aahing the entire time. You just can’t contain yourself. The stained glass in the massive gothic windows is incredible. The whole place is a treat for the senses. After you’ve had your fill of the interior, step outside and go up on the roof for great views over Milan. Be sure to book your tickets for the rooftop in advance. We were not lucky with the weather but even when it’s fogging up the entire area, you’ll get a chance to see the intricate patterns of the sculpted marble of the roof. It will not disappoint. You might find yourself trapped in the beauty of the detail and not want to leave. I know I was sad to go back down to ground level. Entrance to the Duomo costs 11€ if you go up the cathedral on foot, and 15€ if you use the elevator. 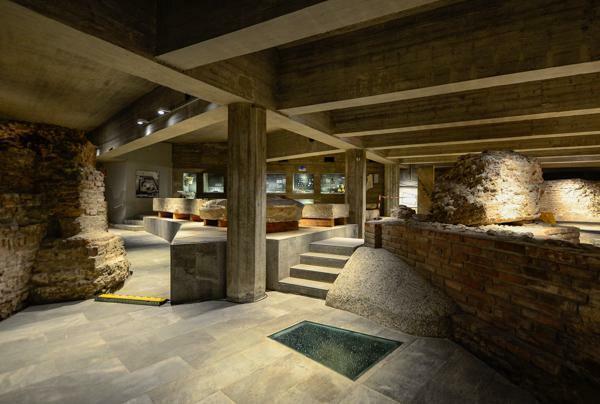 Apart from admission to the cathedral and the roof, the pass includes an archaeological digging site under the cathedral square as well as the Duomo Museum with the San Gottardo Church inside the museum. You can buy passes online in advance and skip the lines. Visit the Duomo during the week, early in the morning. We were there at 8:30 am, and there were no lines at the ticket office, no lines at the entrance, no lines at the entrance leading to the top of the cathedral. The archaeological site was nearly empty, and so was the roof. If you cannot make it there in the morning during the week, expect massive lines. By 10 am the lines were already painfully long. Dress appropriately for entering a cathedral; covered knees and shoulders. Try to not have too much on you as carabinieri (the special Italian police) check every person and personal belonging. The Duomo Museum is in a separate building facing the Duomo, next to the Palazzo Reale. 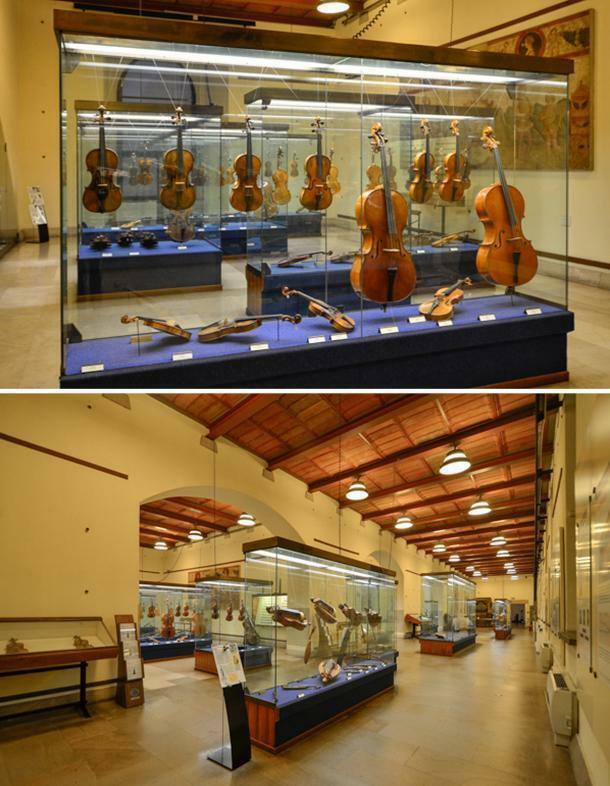 Unlike other museums in Milan, the museum collection centres entirely on the Duomo. I was genuinely impressed by this museum. I am ashamed to say I initially wanted to go inside only because it’s included in the Duomo pass and because the weather was miserable outside. But once inside, I was trapped by the beauty of the art. The museum flows nicely preventing crowding, and at every step, there is a piece of art, sculpture, or tapestry that enchants the senses. 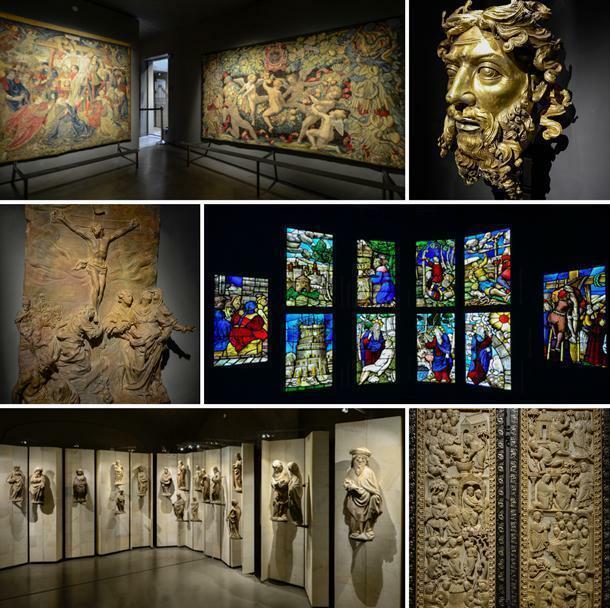 I absolutely adored the sculpted scenes made of wood and the original stained glass collection. The extraordinary attention to details filled me with wonder. 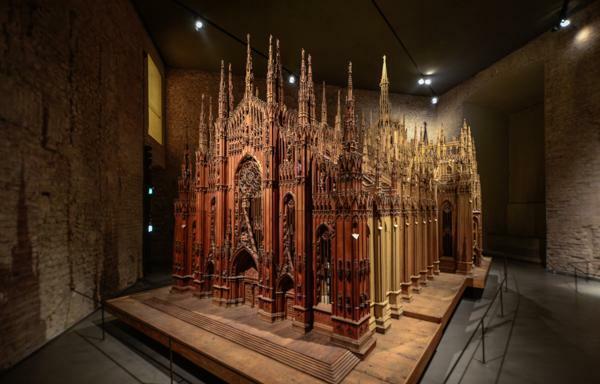 You’ll even see a scale version of the Duomo, big enough to fit in a whole room. About halfway into the museum, a door leads to the courtyard, and you’ll be able to enter the San Gottardo Church, built in 1330. 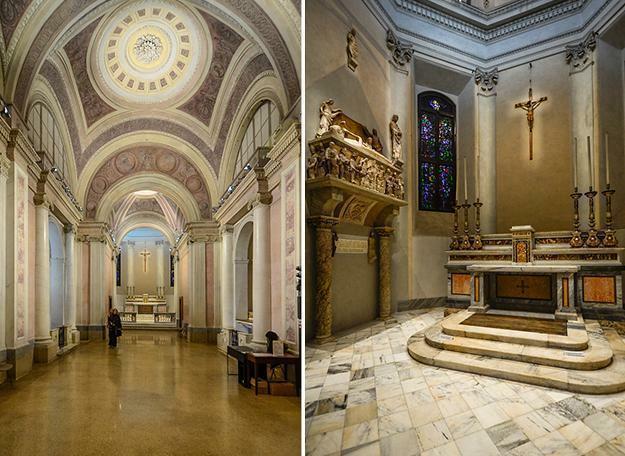 It’s a minuscule church redone in the Neoclassical style. 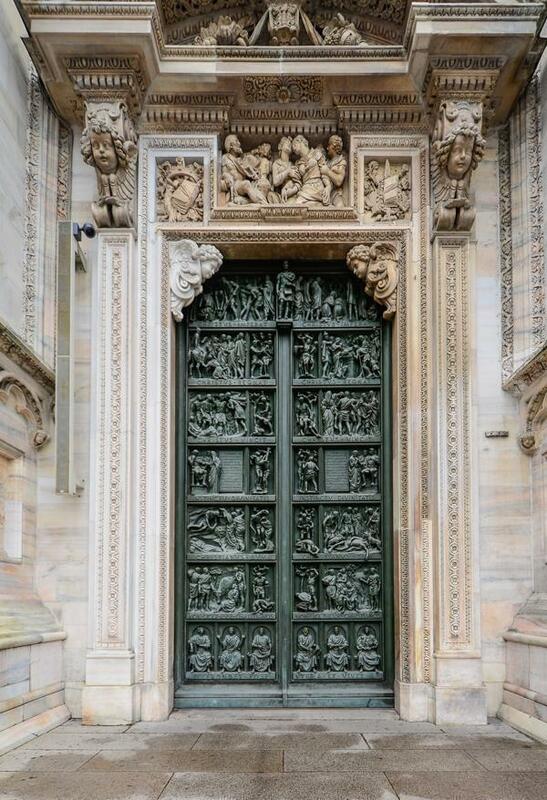 Palazzo Reale is situated right next to the Duomo, and it is the perfect place to catch an art exhibit or two. Hard hit by bombing in 1943, the palace lost many of its treasures: entire rooms of the main floor were irreparably destroyed and with them dozens of frescoes, sculptures and decorations, while furniture was transferred elsewhere during the war. 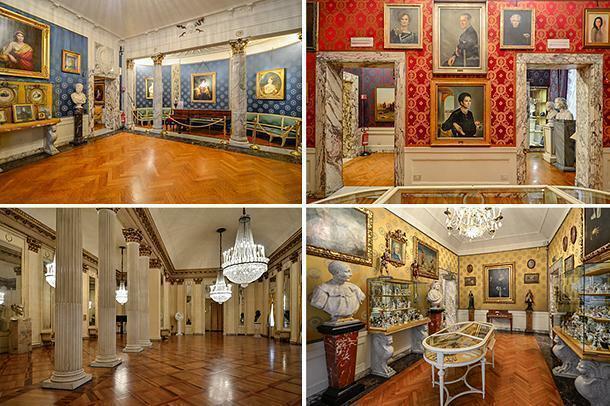 Today it’s one of the most prestigious spaces for large art shows in Milan. 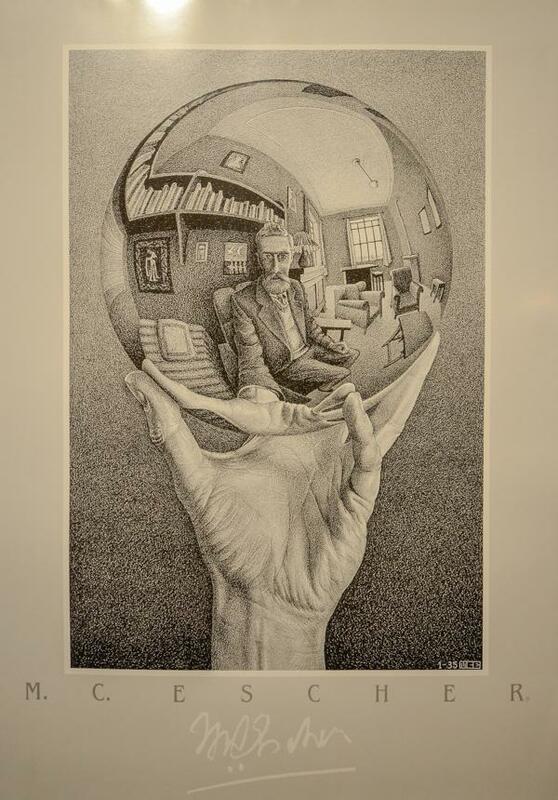 At the time of our visit, they were showcasing a Rubens and the Birth of the Baroque art collection, Escher, and Hokusai; the last two we had the privilege to visit. There is still plenty of time to catch these exhibitions if you get a sudden urge to book flights to Milan. Buy tickets in advance. If that is not an option, show up early! The palace opens at 9 am. Be there to avoid the long lines. They only allow 10-12 people at the time for ticket purchases so it can take a while to get inside. You will have to leave bulky items such as backpacks at the cloakroom. Purses are allowed. 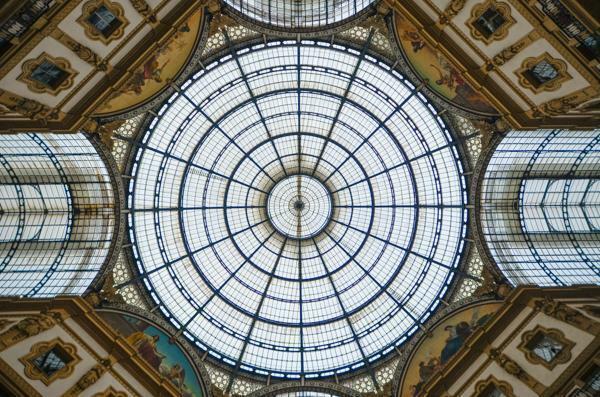 Named after the Kingdom of Italy’s first King, Galleria Vittorio Emanuelle II was built between 1865 and 1877, making it one of the oldest malls in the world and a symbol of Milan. 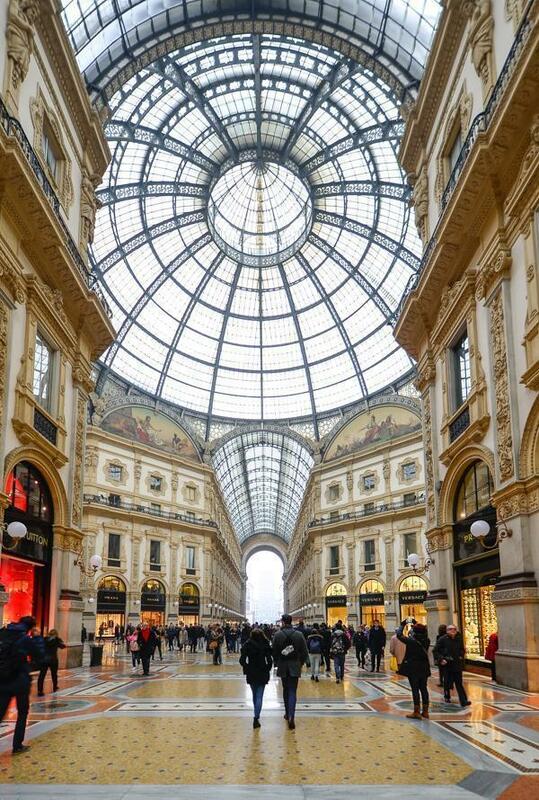 Often called “the living room of Milan” or the “street under the glass”, the Galleria connects two of the city’s famous landmarks: The Duomo and the Teatro Alla Scala. However, the Galleria is a landmark in itself. Bring a fat wallet for shopping in the Galleria or dining at one of the restaurants. Everything inside is high end; fashion retailers selling haute couture, jewellery, books, and paintings, as well as being home to some of the oldest restaurants and shops in Milan. I might not have been able to shop at the Galleria, but window shopping is free and there is always the chance to pick up some great souvenirs from Italy. 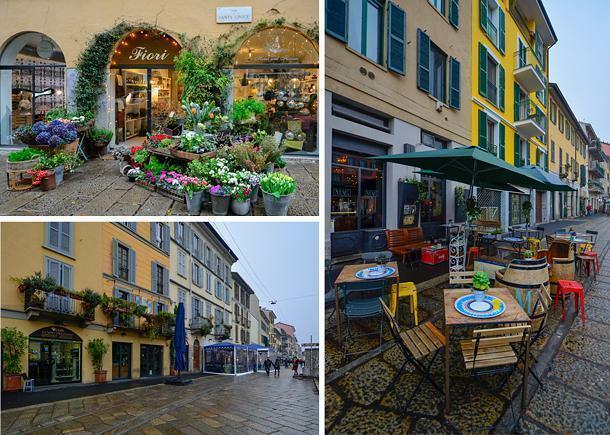 If you are planning to shop for Italian fashion in Milan, you can book a 3-hour guided shopping tour of the best boutiques in the city. Find the dancing bull mosaic and spin three times on its testicles, for good luck, one of the strangest traditions in Milan. It’s not hard to find, just spot the group of people waiting to take their turn for the spin. Make sure you spin backwards and not forward. The Galleria is very busy with tourists, mind your pockets and belongings. Built in the 15th century, on the remains of an old 14th-century fortification, Castello Sforzesco is one of the oldest citadels in Europe. There are different ticket options for various museums as well as bundles. 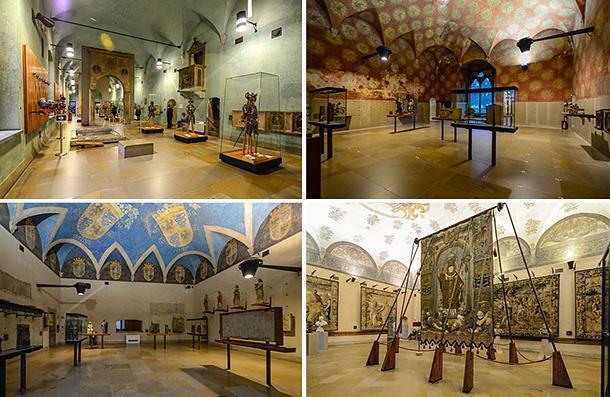 At the time of our visit, parts of the castle were being renovated, and we had little time, so we only managed to see the Museum of Ancient Art and the Museum of Instruments. Now that the restoration is complete, you can book a 2-hour tour of the castle’s highlights including a chance to see The Last Supper. Backpacks are not allowed, but you have the option to store them. One of my biggest wishes in Milan was to visit the opera. It is one of the most famous in the world, where Italy’s greatest opera stars, famous singers from around the world, have appeared over the past 200 years. 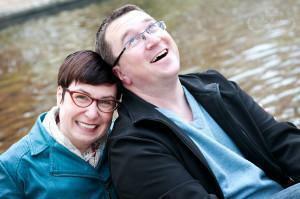 I love the opera, and I go with my husband whenever we have the chance. To see a play at Scala would be amazing. 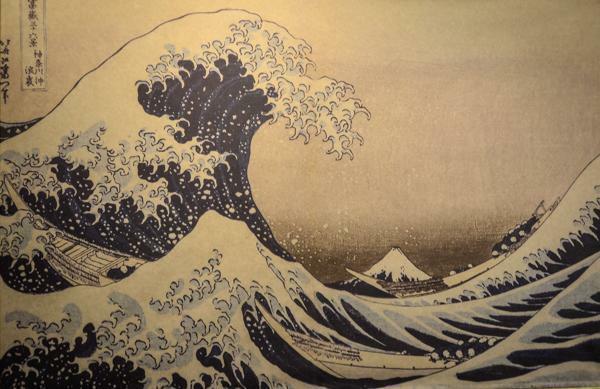 Giacomo Puccini’s Madame Butterfly is playing at the moment. Unfortunately, we didn’t have time to see it this trip, and my carry-on backpack did not have enough space for a formal gown. But it’s still on the list for a future date. 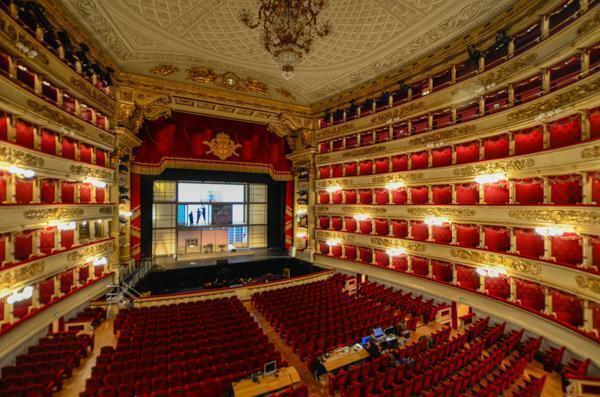 You can book a guided tour of La Scala to see behind the scenes at this beautiful opera house. Get your tickets here. Visiting the Opera costs 7€ and grants you access to the museum halls as well as the jaw-dropping auditorium. No backpacks or bags are allowed inside, but you have the option to store them. The Navigli district is Milan’s canal area, and it is an easy ride on tram 3 from the Duomo tram stop. Don’t forget to stamp the ticket while on the tram. Navigli is a lively area of Milan where you will find a large selection of pubs, bars, restaurants and other eateries, live music and other evening attractions, on both banks of the canal. The Navigli is a hive of nighttime activity all year-round and is something of a mecca for Milan’s 20 and 30-somethings. At the time of our visit, the water level was very low, so no canal boat rides, but in summer it’s different. I am looking forward to visiting again when the temperatures are not freezing so I can fully enjoy this part of Milan. I saved one of my favourite parts of the trip for last. Because Christmas is coming soon, it’s more than fitting to mention the only store in Europe that has made me jubilant. People who know me, know how much I love Christmas and there is no way I would not mention this place. Walking in the Navigli area, my friend and I stumbled upon a Christmas decorated façade. Looking through the windows, my curiosity piqued. We entered Ecliss and immediately were transferred into the magical world of Christmas. They strive not just to give you a simple shopping trip but a real winter experience. Imagine you enter the house of an eccentric family, whose house is fully furnished in Christmas decor, American style. In the set living room, you will find plush leather sofas and armchairs covered in fluffy American-style décor, tables laden with loads of sweets and cakes, scented candles, felt stockings, and Christmas trees. 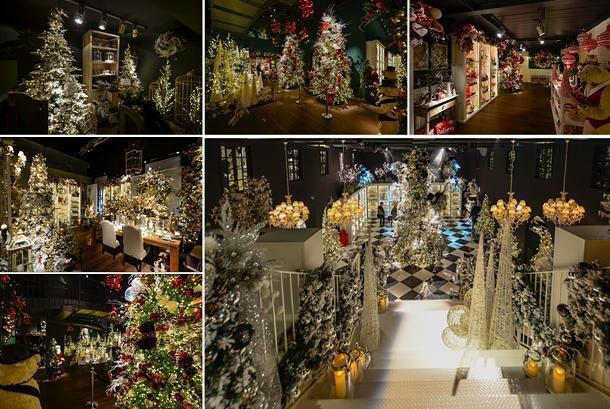 The display lasts four months, from October to the end of January. Go to the top floor and see the beautiful miniature American 19th-century style villages. Most of the parts are motorised. The kid in me came out and was in awe. Use public transportation. Single tickets cost 1.50€ and day tickets, valid on all the lines cost 4.50€. If you want to see the main attractions, you can purchase the Milano Card which comes in 24h, 48h, and 72h versions. It offers free transportation, savings on entrances at the main attractions, city bike rentals, and airport shuttles. Upon arrival at the airport, there are shuttles that drive you to the Central Station every twenty minutes, for 8€. I found Milano safe but stay vigilant as it is very crowded in the centre. Some vendors are very in your face, trying to sell you selfie sticks, bracelets and other little nothings. Don’t give them your attention or they will bug you aggressively to buy their stuff. 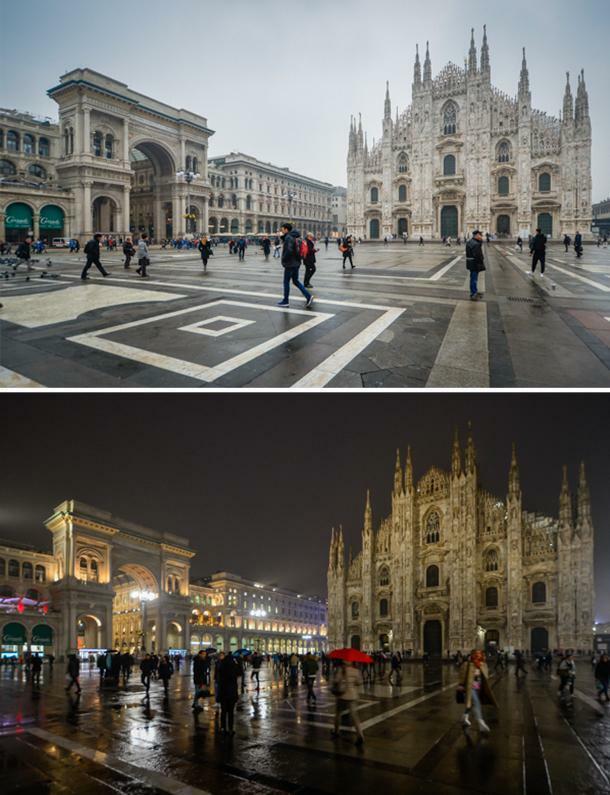 It’s best to travel to Milan during the week and wake up early to beat the massive crowds. Visiting Milan with small children is not something I would do. From personal experience, art and architecture are not something a toddler enjoys. However, it’s perfect for older children. Milan is often overlooked for flashier Italian destinations like Florence, Venice, and Rome, but it shouldn’t be. 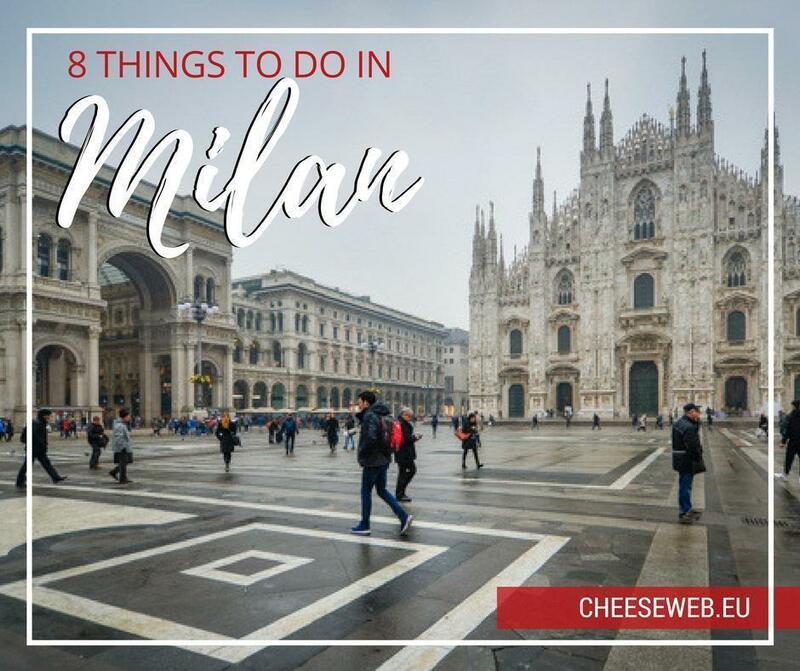 Thanks to its gorgeous architecture and art, trendy neighbourhoods, excellent window shopping, and delicious cuisine, Milan is a charismatic city that deserves to be on your travel radar. Don’t wait long to book a flight.